Shake your groove thang when the clock strikes 12 with Billy Martini at the Fernwood Tavern. The New Year&apos;s Bash starts at 10pm and best of all, it&apos;s free! Aubergine at L&apos;Auberge Carmel will have two seatings, with and without wine pairings. The first seating at 5:30pm will include a 4-course tasting menu and the second seating at 8:30pm will include a 6-course grand tasting menu complete with wine pairings and a Champagne toast. The first seating is $115 per person (wine pairings are an additional $95 per person) and the second seating is $290 per person. Call 831-624-8578 to reserve. For an earlier family-friendly party, attend the MY Museum Noon Year&apos;s Eve Party. This Noon Year&apos;s Eve Party will include crafts like making silly hats, noisemakers and 2015 calendars, face-painting, tasty goodies, a visit by the Noon Year&apos;s Eve Fairy and, finally, the lowering of the MY Museum Noon Year&apos;s Eve ball at noon. Tickets are free for members and $10 for non-members. Call 831-649-6444 for tickets and reservations. Just down Cannery Row, The C Restaurant at The InterContinental the Clement Monterey offers a delectable Christmas dinner with a great ocean view. The four course meal includes an array of entrée options including Wagyu filet mignon, truffled chicken and black bass. $125 per person. Call 831-375-4800 to reserve. Jacks Restaurant at the Portola Hotel & Spa serves breakfast, lunch and dinner on New Year’s Eve. Breakfast will be served 6am-12pm and lunch will be served from 12pm-2pm. Dinner will begin seating at 5pm with regular menu items and special holiday add-ons like filet mignon and lobster. Jacks Restaurant will also serve breakfast until 2pm on New Year’s Day. Call 831-649-2698 for reservations. First Night Monterey is a family-friendly celebration of the arts. Over 20 venues in downtown Monterey hold concurrent performances and activities for both children and adults. The Twilight Procession will make its way down Alvarado Street and will include everything from stilt walkers, giant puppets, dancers to marching moms. The party begins at 3pm and lasts all of the way until the wee hours of 2015. Tickets are available at a number of local stores or the First Night Monterey website. 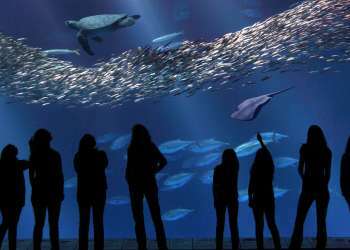 Ring in the New Year under the sea at the Monterey Bay Aquarium! Bring the kiddos for a once in a lifetime sleepover beneath the fish where there will be fun family activities and programs for a night of celebration, including a sundae bar. Wake up with the fishes on New Year&apos;s Day, enjoy a continental breakfast, and then join our naturalists in watching wildlife from the Great Tide Pool deck. $125 per person. 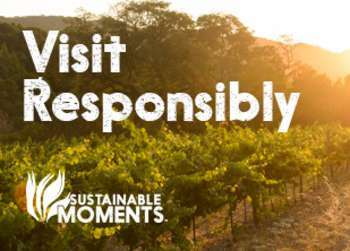 Call 831-647-6886 for reservations or book online. The Sardine Factory will have a special four-course prix fixe dinner menu on New Year&apos;s Eve and New Year&apos;s Day. Dinner begins at 5pm with entrée options like filet mignon, scallops and veal. $79 per person. For reservations call 831-373-3775. Celebrate the remnants of 2014 with a four-course dinner featuring libations provided by Alvarado Street Brewery and Caraccioli Cellars. Stay afterwards for dancing into the wee hours of the night. $95 for dinner, $25 for cover to the after-party. Click here for tickets. Fandango&apos;s in Pacific Grove remains open for New Year’s Eve with lunch and dinner served until 10pm. Items from their fantastic standard menu as well special add-ons will be served. Call 831-372-3456 to reserve. Ring in the New Year at The Inn at Spanish Bay in Pebble Beach during their New Year&apos;s Eve Extravaganza themed an "Elegant Affair." Guests will enjoy a secret world of casino games, dancing, live music and food fit for a spy. Guests must be 21 +, admission is $395 per person. The party beings at 8pm. Call 800-654-9300 for reservations. 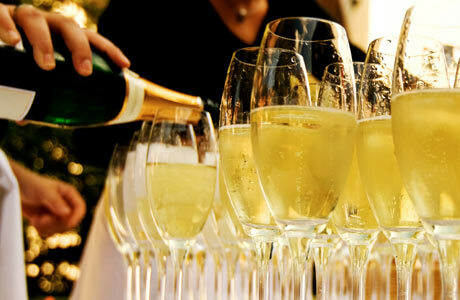 Monterey County&apos;s newest event complex is hosting a New Year&apos;s Eve Party like none other! 201 Main in Salinas will be popping with red carpet photo opps, VIP table service, Grey Goose drink specials, dancing and live party music by DJ A.J. Bee. Tickets are $50 per person and include a Martini & Rossi midnight toast, a souvenir champagne glass, party hats, hors d&apos;oeuvres & more! For more information call 831-800-7573 and click here for tickets. Silicon Valley cover band The Joe Sharino Band will rock out throughout New Year&apos;s Eve at the Embassy Suites New Year&apos;s Eve Ball. The event includes a three-course prix fixe meal, party favors, midnight champagne toast, balloon drop and dancing from 9:30pm to 1am. Tickets are $135 per person (without dinner) or $199.95 (with dinner); packages including a hotel room are also available. Click here for tickets or call 831-838-3006 to reserve.